Meeting times are Saturdays from 9:00 - 11:00am; most sessions held at The ARTbar; the last session will be a Sunday celebration at 4pm in Dana Point. If you have always wanted to go through The Artist’s Way book chapter by chapter with the support of an encouraging group, this is your opportunity! 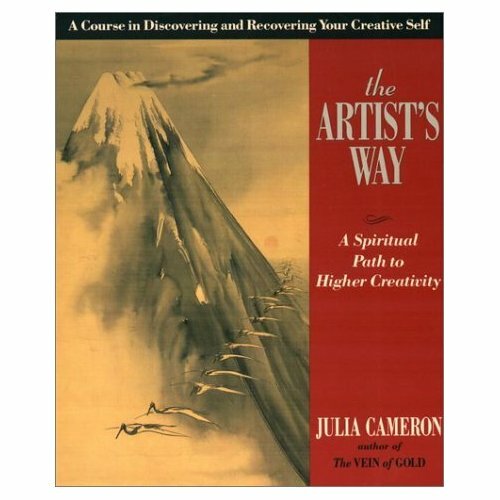 The Artist’s Way is a program that helps you recover your creativity from a variety of blocks, including limiting beliefs, fear, self-sabotage, jealousy, guilt, additions, and other inhibiting forces, replacing them with artistic confidence and productivity. * Special BONUS: Attend Open Studio Sessions at a reduced price of only $15 instead of $25. Why not meet your fellow Creative Circle members to do your weekly creative assignments? Please plan to be at as many sessions as you can, although we realize that you may need to miss one here or there. (possibly one additional session of those listed may be recorded, depending on Nicole's schedule). No refunds for cancellations less than 3 weeks before start date.